I pieced this quilt right after I had made The Birthday Quilt. The Civil War Reproduction fabrics I'd pulled were still singing for me, and it didn't seem like I had gotten making teeny-weeny nine patch quilt blocks out of my system yet. The nine patches that create the chains are 1-1/2" finished, as are the half square triangles. The little four patches on point are 1" finished. I know that seems awfully small, but once you start stitching and settle into a rhythm it's a really nice place to be. There's an interesting story there. 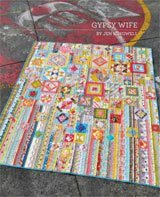 I had finished piecing the quilt--borders and all--and was really stuck for how I was going to quilt it...so I figured, what the heck and emailed Sue Garman, the designer herself...I mean, what did I have to lose? Now, I'd sent that email about 10:30 at night. The next morning there was an answer with a diagram from Sue, herself. Now how cool is that! For the outside border, I used a printed cotton that has a nice diagonal line...took the time to match the pattern at the seam lines and then quilted along the pattern of the fabric. Easy! There's a ton of rotary cutting with this quilt, I admit. But for this project, this ruler was PERFECT for cutting the strip sets down into one inch units. I found I could stack quite a few of them under the ruler and then slice away. I can't recommend this ruler strongly enough if you plan to make an Ohmigosh! 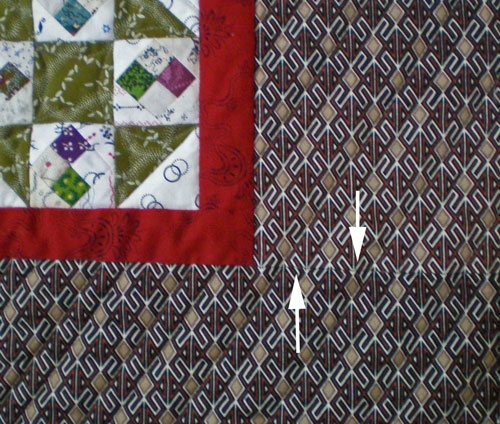 A close-up of the two blocks: Double nine-patch on the left, Churn Dash Quilt block on the right. I matched the pattern in the border fabric so that I could use the lines of the fabric design for my diagonal quilting. Now if itty-bitty-teeny-tiny pieces don't blow your skirt up, check out Linda Glover's Ohmygosh Supersized!. Love it! Do let the quilter know! Just use the link below! About a third of the way thru, I changed the name to "What Was I Thinking?" Anyway, I just now put the my name and date on the back and its finished. (There is a mistake in the fabric amounts, too much for the borders and binding.) What a great project! Thank you! i am trying to buy the pattern. when i click on the web site link, i get a sign in form. after filling in the member name and password, i get an error page. i am unable to access the page, therefore unable to get the pattern. From the Editor: Thanks for contacting me, I'll disable the old link. Quakertown Quilts has gone out of business. Saw this quilt in Calgary, Alberta at 2014 Heritage Park Quilt Show where Sue Garman and her quilts were featured in a separate building. As soon as I saw it, I said " Oh my God" so was not surprised to see the actual nameof the quilt when I got closer. 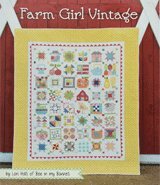 Sue Garman is petite just like the pieces in all her quilts. I was in absolute awe. A beautiful quilt - scrappy quilts are my all time favorite. I would like to attempt this quilt to work on between my regular quilting. Nice to see you did the quilting yourself. I will keep the advise about the border in mind when picking out the border. How big are the shoofly blocks - How big is the quilt you made? From the Editor: Thank you so much! The Shoofly blocks are 4-1/2" finished. The quilt finished at 70"x88", if I'm remembering correctly. I've seen this quilt previously, but it sticks in my head for obvious reasons - so lovely - really a labor of love .... and possibly obsessions! But that's what quilters sometimes do! It's a beauty, no matter what had driven it's creation. Your quilt is breathtaking. Peoples mouths must drop when they look at it. WOW what a beauty. I love it. It is not a quilt many would have the courage to try. I love quilts that have small pieces. They look like labors of love. Sue, I don't know. I've only had the one contact with her for her timely and helpful advice on quilting 'Ohmigosh'. On the right hand side, about a full screen down on her blog is the 'About Me' section. If you click on that, it'll bring you to her profile and from there you can contact her by email. Wouldn't it be neat if she IS the Garman you are related to? Cool beans! I would to have the pattern. I think I may who Sue Garmen is. My step daughter is married to Matt Garmen and I know his Mother is a quilter. My daughter's name is Angie. Can you let me know if I am on the right track? This is an incredible piece of art work. Thanks for sharing. Your Oh My Gosh quilt is the prettiest quilt I think I've ever seen. Can you tell me where I can get the pattern? I am absolutely in love with the Civil War fabrics, original and reproduction. The patterns on them are all beautiful but truth be told, the bold, rich colors make me think of simpler times. When I was looking over the various Civil War quilts and came across this one, it absolutely spoke to me. You have done a fantastic job of mixing colors and fabric design. I cannot wait until I can attempt this one! I saw this and could not believe what made that interesting pattern till I saw the blocks on here.. I love the quilt. 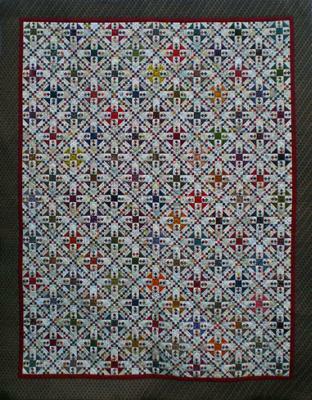 The quilting is very easy to follow the design and adds a great compliment to the pattern. I would love to more close ups. Great quilt. ~Glad to help, Karen. We're lucky here in Illinois to have a bunch of good quilt stores, but the kind of applique patterns I like to do always have me searching on the Internet. It's nice to be able to have so much at our fingertips! Is there a pattern for this quilt? I saw one like this hanging in a quilt shop in Moab Utah and was told the name of the quilt - did a search and found this. 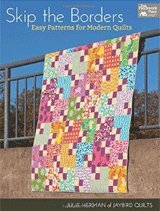 From the Editor: You can usually find this pattern at www.quakertownquilts.com. I suggest ordering it from your local quilt store, though. If they order it, they may order extras and then others get the chance to make this really WOW! quilt, too! I, too, was caught by the omigosh bug. I made mine out of civil reproduction fabrics. It is a qween size, finished in 379 days. I would advise not to try this, talk about total burn out. It is beautiful, however my hubby will not let me use it, he doesn't like for it to leave the house,even for show and tell. I think he likes it. Good for you, you finished it. The quilt is BEAUTIFUL!!!!! I also would love to see close ups of the blocks!!! Would LOVE to make it! Wonderful quilt--so glad you showed the up close picture--marvelous to see, thanks for sharing. You're right. I did say "oh my gosh". The size of those blocks is enough to make me faint! :) Looks great! ...all the details are fabulous. The detail and patience for this quilt is absolutely remarkable. Only one thing to say: Oh My Gosh! OMIGOSH is right! I love using itty-bitty pieces too (what a great way to use up scraps too). Sew On! That is really stunning and quite an accomplishment! 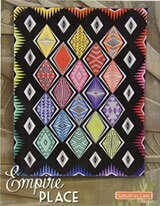 I have seen these quilts at some quilt shows and they are amazing. You did a wonderful job on this. Love it. "Oh My Gosh" seems like a very fitting name for this quilt. Amazing work! Oh my gosh is right! Those squares are so tiny! "Oh My Gosh" is right! What a stupendous quilt! 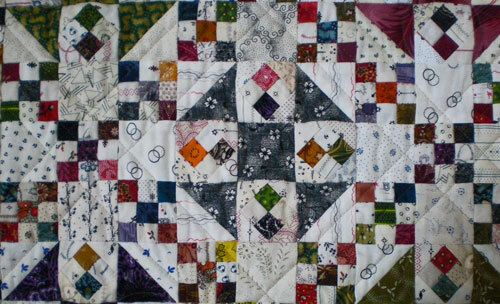 I love scrappy quilts, and this one with all of its little pieces is simply wonderful. It just sings to me. Thanks so much for sharing it. Oh my gosh does not even begin to describe this quilt- such tiny pieces to work with- It would have been a real challenge to complete it with all those pieces. Thanks for sharing your fabulous quilt. The festival is such a terrific event for seeing beautiful quilts and reading great quilt stories. It is so nice, and so much work. Congratulations! My oh My what a quilt indeed. Beautiful job on it. I love the fabrics you used. What an incredible, awesome, wonderful quilt! "Oh my gosh" really does seem to be an appropriate name. I have absolutely no idea how you managed all those teeny tiny pieces! This is awesome! There is no way i could cope with working with such small pieces. Seriously! That is amazing! And definitely appropriately named! WOW! the quilt is beautiful and I sure understand the title! Holy Cow! I dream of making a quilt with little tiny pieces sometime. Kudos to you for actually doing it! What an accomplishment. It must have felt great to see all those little blocks come together! It also helps me to feel less crazy for working on a quilt with 1" finished blocks. Having tackled making tiny squares for a small project I am impressed that you made one this size. A lot of time and patience. Such a fitting name for that quilt. I can't believe how small the pieces are! Well it is beautiful! Good work! You go girl!!! Such little pieces and you did a wonderful job. Kudos on tackling this extremely challenging quilt. 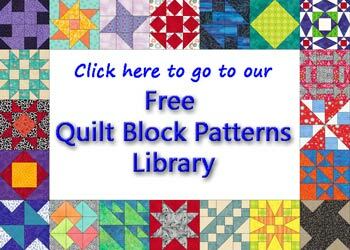 I like your minimal quilting-I saw one recently that had a heavy allover quilting design and it smashed the blocks down and you couldn't see the piecing. 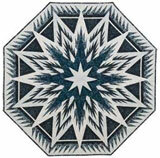 As a quilt historian/appraiser-I appreciate quilters keeping these antique designs going. My mouth just fell down in my lap. Had to check twice what you wrote about the size of the patches. I´m amazed by your great work! I´m stunned by it´s beauty! Oh my gosh is right! That is an amazing quilt! Well done! I'm glad you caught me, it's off to Quilt Market today! I've added a close-up of the two blocks in the quilt. The blocks, themselves, finish at 4-1/2". And another that shows where I matched the pattern in the border fabric so I could use the design for my quilting lines and avoid the marking. If the pictures aren't showing, just hit the refresh on your browser bar. This really was a fun quilt to make. All the little pieces at first seemed daunting, but once I got the system down, it was a great kind of mindless (I hope that sounds right) quilt pattern to work on. I'd love to see some close up photos of that quilt if you have time to post them!